Hello all! Happy Monday!! Hope everyone is having a good start to the week! We're getting our furnace replaced today so I am sitting in my hot house that is sure to be hotter before they are done! Thank goodness for fans!! Awesome layout Tracey! 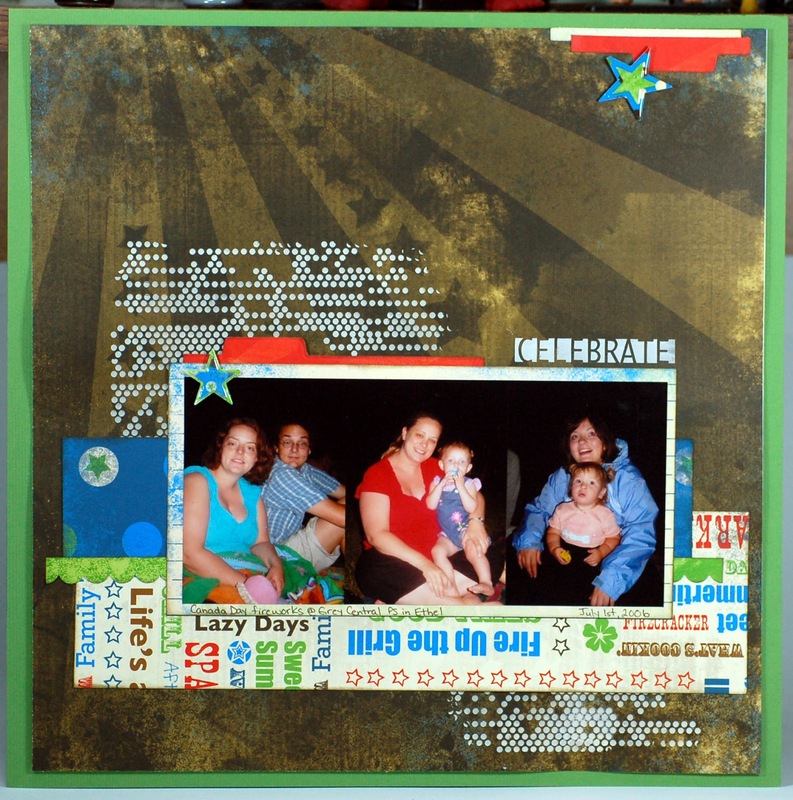 What a great trio of photos and fantastic mix of fun patterned paper! Loveeeeeeeeeee this! LOVING the photo and the colors!! Hope they get it fixed today for you! Loving that white texture on there! Terrific! Fun colors in the patterned paper, too! Fantastic!